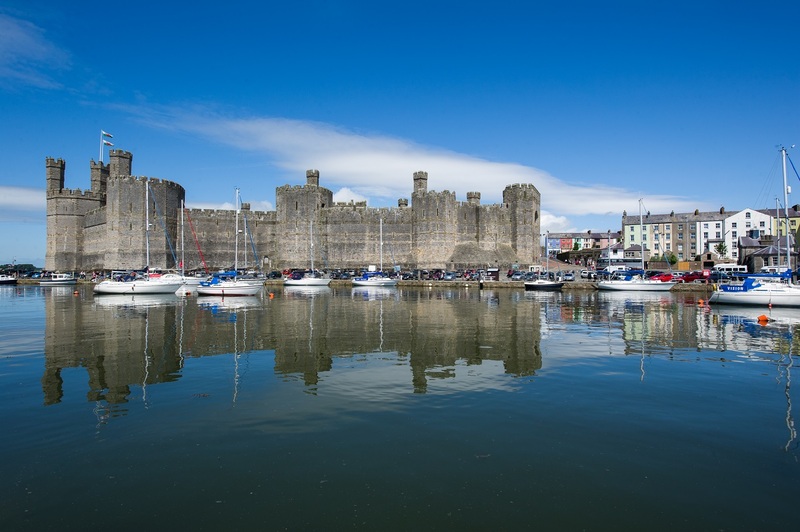 Caernarfon is known for one thing more than anything else: its mighty castle which is possibly the most famous of Wales’s castles. A UNESCO World Heritage Site, the castle attracts thousands of visitors each year. This immense fortress dates back to the end of the 13th century when King Edward 1 of England began his Welsh conquest. Within the building, there is plenty more than just the architecture to be interested in. You can visit the Royal Welsh Fusiliers Museum, which tells of the 300-year history of Wales’ oldest infantry regiment, as well as numerous other exhibitions and displays. Around the castle is a bustling market town with a busy port. For views over the Menai Strat (the channel that separates Anglesey from mainland Wales), the waterfront itself merits a visit, having been recently redeveloped. It’s a beautiful place to stop for a bite to eat. Why not hire bikes and cycle along the traffic-free routes along the Menai or take a pony ride through spectacular scenery amongst the foothills of Snowdon with Snowdonia Riding Stables. The Welsh Highland Railway, the Airworld Aviation Museum are other great attractions to visit.